Today I'm sharing with you, a pretty simple card. 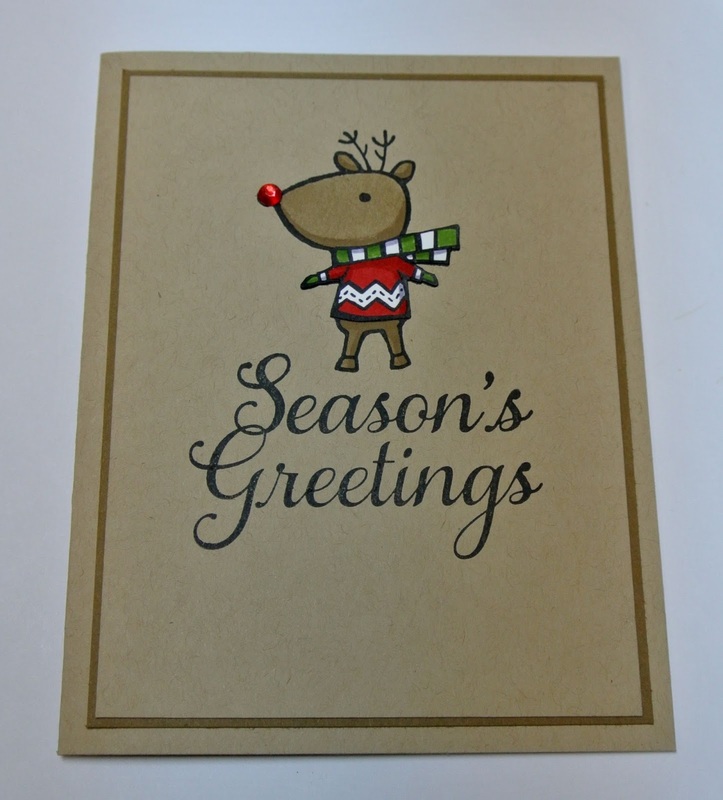 It has a very basic and clean layout, and it gives Rudolph and his greeting all the attention! 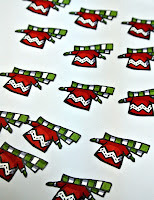 I stamped Rudolph, (who is from the stamp set: Colour Me Christmas) with Black Stazon ink, onto Crumb Cake card stock. I then coloured him in with the Crumb marker. 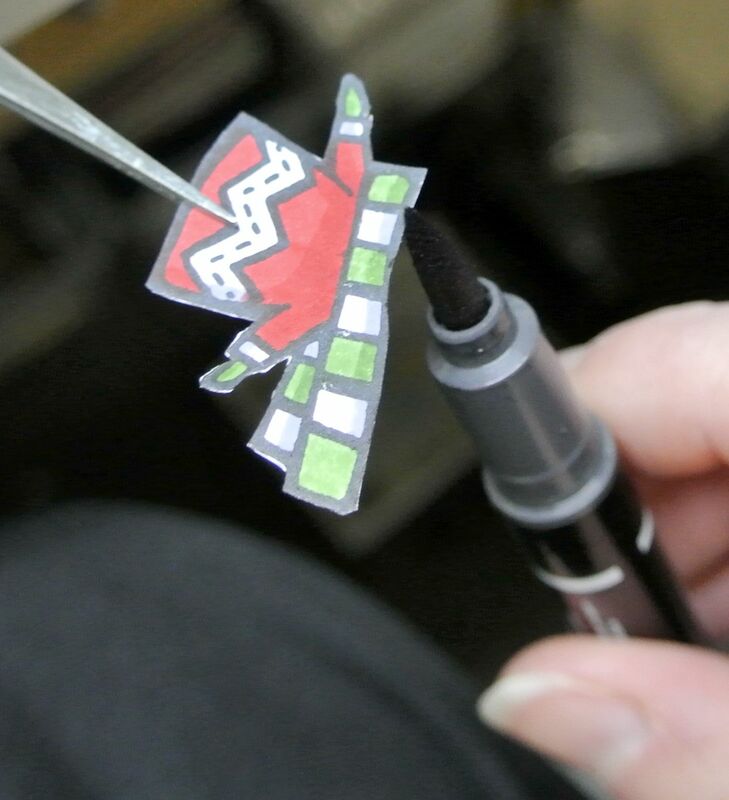 My shadowing on Rudolph is also the Crumb Cake marker, I just went over it a few more times. 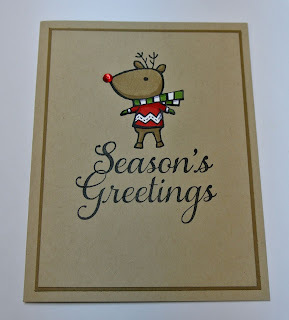 The greeting is from the stamp set: Joy to the World and is also stamped in Black Stazon Ink. If you're making one or two of this card, it's a pretty quick card, but if you're like me and like to make several at one time... cough! cough! 20! Be prepared for A LOT of cutting. 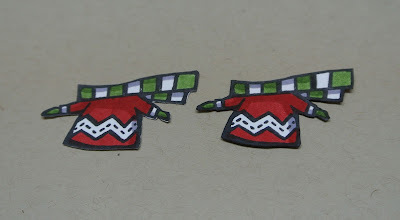 I stamped Rudolph on Whisper White card stock and cut out his sweater and scarf so that the colours were nice and bright on the card. 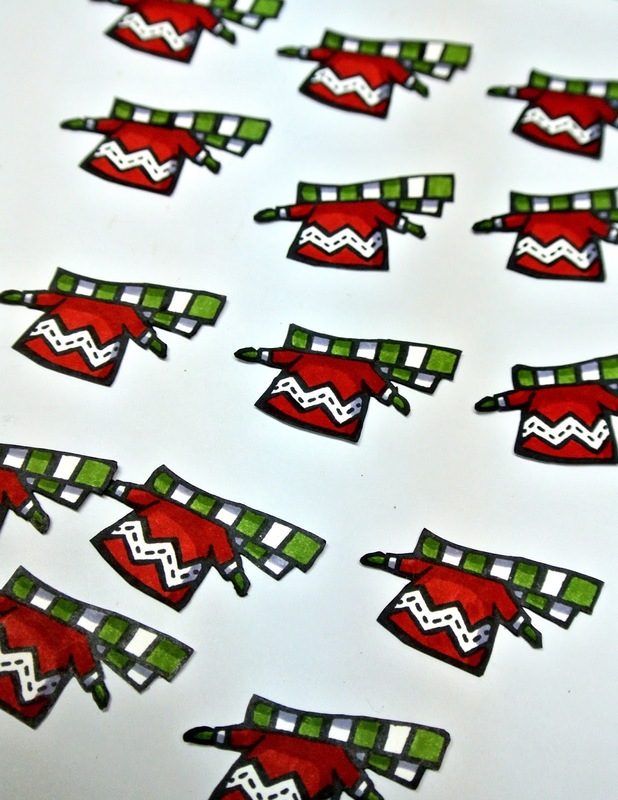 I want to show you what I do when I cut out little images for layering. Its simple and I think it just cleans everything up. Okay, do you see anything different between them? Congratulations, you are NOT a perfectionist! Lucky duck! Sorry! You're picky like me! Lol! Anyways, what I'm pointing out is the white around the edges of the first cut out. It looks as though I didn't cut right up to the image, when in fact, I did. When Layering this over the same stamped image, I find it looks "rough" or sloppy and that the white edges of the card stock, jumps out at you and I definitely don't want that to be the first thing people notice. So I do, what I call "edging". I take a marker (in this case: black) and run it around the edge of my cut out and as you can see (sweater #2), it cleans it up nicely! Well, I hope you enjoyed today's little tip, and Happy creating! I generally avoid cutting for just this reason! Great tip Martha! !